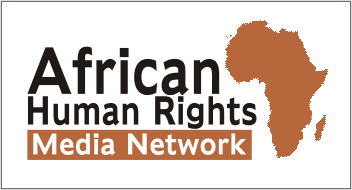 Kenyan court delays decision on anti-gay law – Rights Africa – Equal Rights, One Voice! Kenya’s High Court in Nairobi today delayed a much-anticipated ruling on a lawsuit challenging the nation’s anti-gay laws. 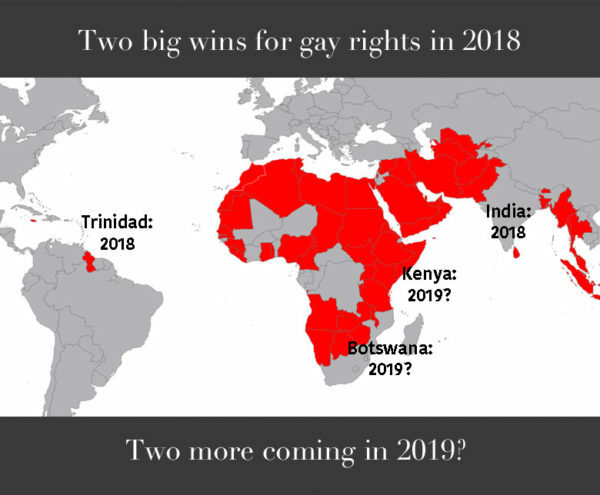 India and Trinidad overturned their anti-gay laws in 2018. Angola repealed its anti-gay law in January 2019. Kenya and Botswana also might do so this year. The decision was rescheduled for May 24. The delay was met with dismay by Kenya’s LGBT community and their allies, who have been anxiously awaiting a ruling on the petition, which was filed three years ago. “To say we are disappointed would be an understatement,” the National Gay and Lesbian Human Rights Council (NGLHRC), one of the petitioners, wrote on Twitter…. While convictions under the decades-old laws are rare, gay activists say the legislation is unconstitutional and fuels homophobic persecution. Logo of the Kenyan LGBT rights advocacy group, the National Gay and Lesbian Hurman Rights Commission. Imani Kimiri of the NGLHRC’s legal team, told AFP her office dealt with 15 prosecutions under the laws in 2018, but cannot recall the last conviction — slamming the process as “just a frustrating endeavour”. The petitioners argue that under Kenya’s 2010 constitution every person is said to be equal before the law — a protection directly contradicted by the disputed sections of the penal code. Those who are blackmailed, evicted, fired, expelled from school, or assaulted over their sexual orientation, are unable to access justice because it means “confessing to a crime”, said Eric Gitari of the NGLHRC. Of Africa’s 55 countries, 33 have laws against homosexual activity. Angola repealed its anti-gay law in January. Botswana’s High Court is scheduled to hear a challenge to that nation’s anti-gay law next month.